Instant Neurological Diagnosis: A Companion to Neurobowl® brings rapid neurologic diagnosis blended into a unique format that combines teaching and entertainment. 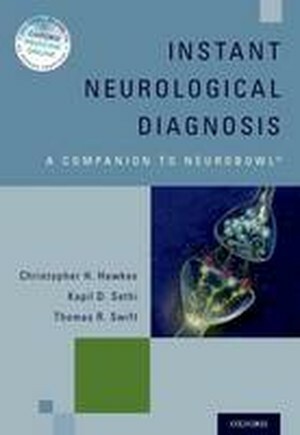 Like the annual Neurobowl® competition, this book teaches neurologists to guess the answers of a diagnosis as fast as possible. This book tells users how to make a rapid clinical diagnosis or when to stop and reconsider previous diagnoses. should alert the clinician to reconsider and think of an alternative diagnosis. 1. This text is highly visual; supplemented by figures, tables, and video clips. 2. Teaches neurologists to make a rapid diagnosis, even for rare diseases. 3. Shares tips for better patient management.